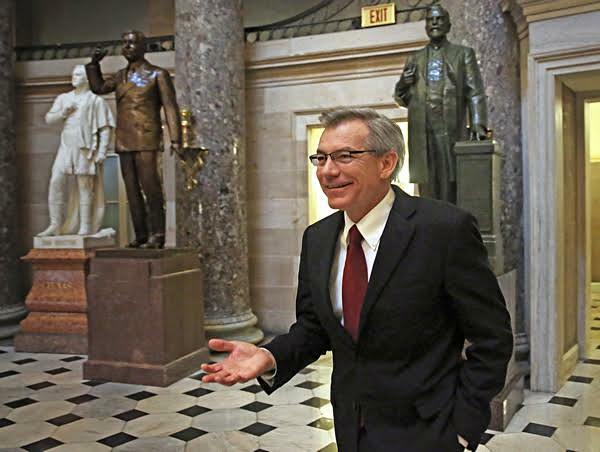 David Schweikert represents Arizona's 6th District and is FreedomWorks' Congressman of the Month for July. This legislation would stop federal agencies from using collected fees and fines without oversight. Rep. Schweikert’s bill would assure that these funds will not be spent to grow bureaucracy, but rather be used to pay down the deficit. Legislation such as this is vital to help reduce the regulatory state. Additionally, Rep. Schweikert has been a strong advocate for sound, constitutional legislation proposed by his fellow House members. He has co-sponsored legislation such as Rep. Dave Brat’s (R-Va.) H.R. 5324, the Health Savings Account Expansion Act of 2016. This bill amends the Internal Revenue Code to expand health savings accounts to include health insurance payments as well as increase contribution limits. Rep. Schweikert has also co-sponsored Rep. Tom Price’s (R-Ga.) H.R. 4956, the End Executive Overreach Act. This bill restricts the authority of federal agencies from making or finalizing rules that have an annual economic effect of $100 million or more, rules that may raise legal or policy issues from legal mandates, and rules that may interfere with the foreseeable or taken action by another agency. As an active member of both the House Committee on Financial Services and Joint Economic Committee, in addition to being a member of both the House Freedom and House Liberty Caucus, Rep. Schweikert is an advocate for the principles of smaller government, lower taxes, free markets, personal liberty, and the rule of law. Because of his commitment to limiting spending and free markets, FreedomWorks is proud to name Rep. David Schweikert (R-Ariz.) as FreedomWorks Congressman of the Month for July 2016. On behalf of our activist community, I urge you to contact your representative and senators and them to support the Stop Questionable, Unnecessary, and Excessive Allowances for Legislators (SQUEAL) Act to cut perks for elected officials. This is a bicameral effort led by Rep. David Schweikert (R-Ariz.), sponsor of H.R. 4217, and Sen. Joni Ernst (R-Iowa), sponsor of S. 2033.